Our Company Search API makes it easy to find customers. 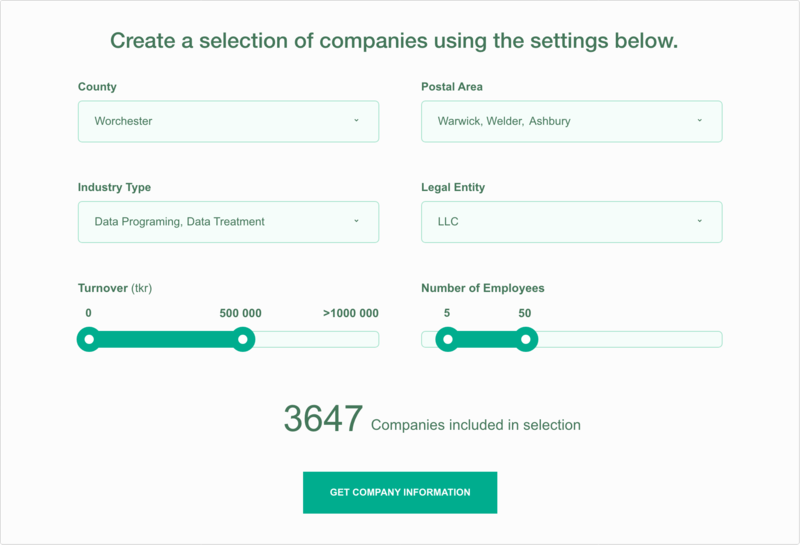 In just a few clicks you can create a selection of companies based on variables such as, geography, company type, turnover, number of employees etc. perfect for creating prospect list for example. 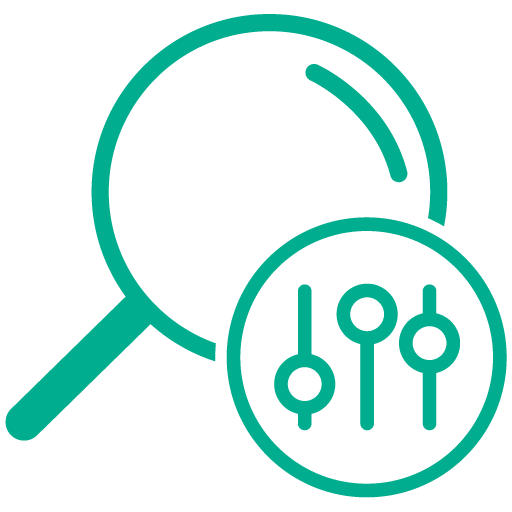 The service can also be used as a detailed or advanced companysearch where you can find a company with a combination of text based search and filtering possibilities. 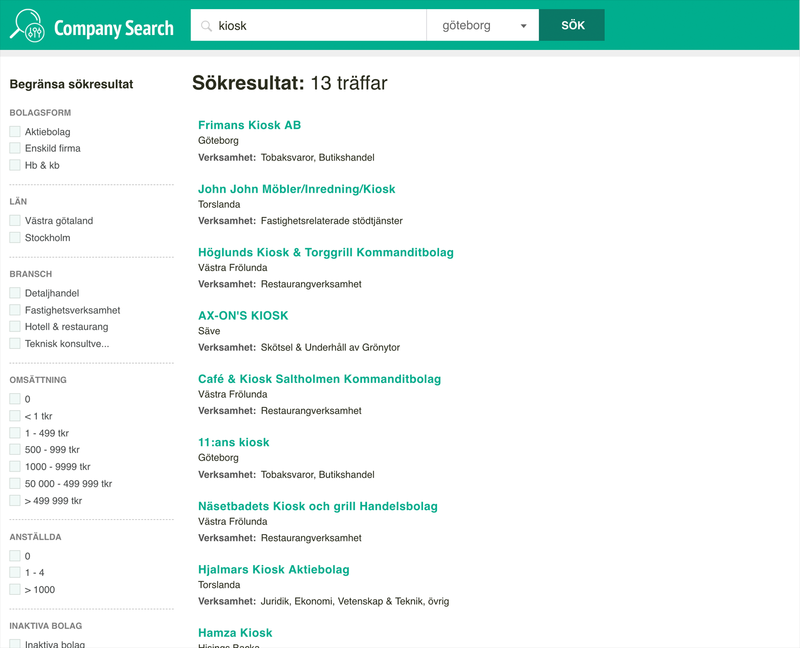 The search function lets you find a specific company by searching with a text based search. However, it is also possible to fulter the search using selection variables such as geography, turnover, number of employees etc. This allows you to find a specific company either by its name or by filtering or a combination of the two (the search result list only contains 1000 companies at a time). See an example below. This functionality makes it easier to find new customers. You can make selections based on variables such as geography, turnover, number of employees etc, perfect for creating prospect lists and segmentations. An example of this can be seen below.